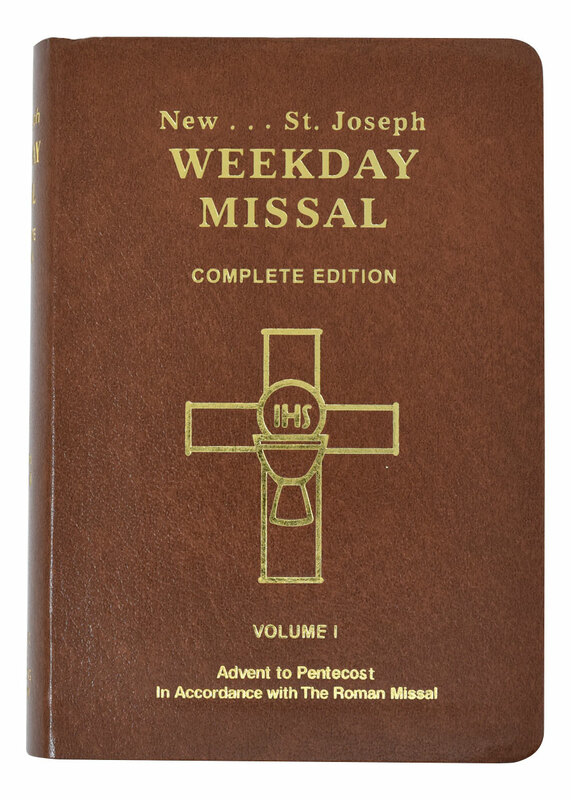 This perpetual Saint Joseph Weekday Missal (Vol. 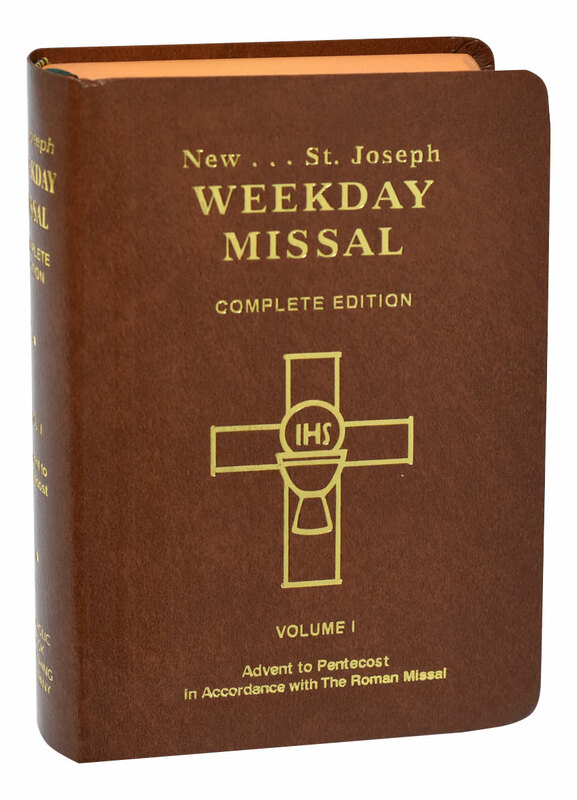 I) offers all the Weekday Masses from Advent to Pentecost with all their options and prayers. 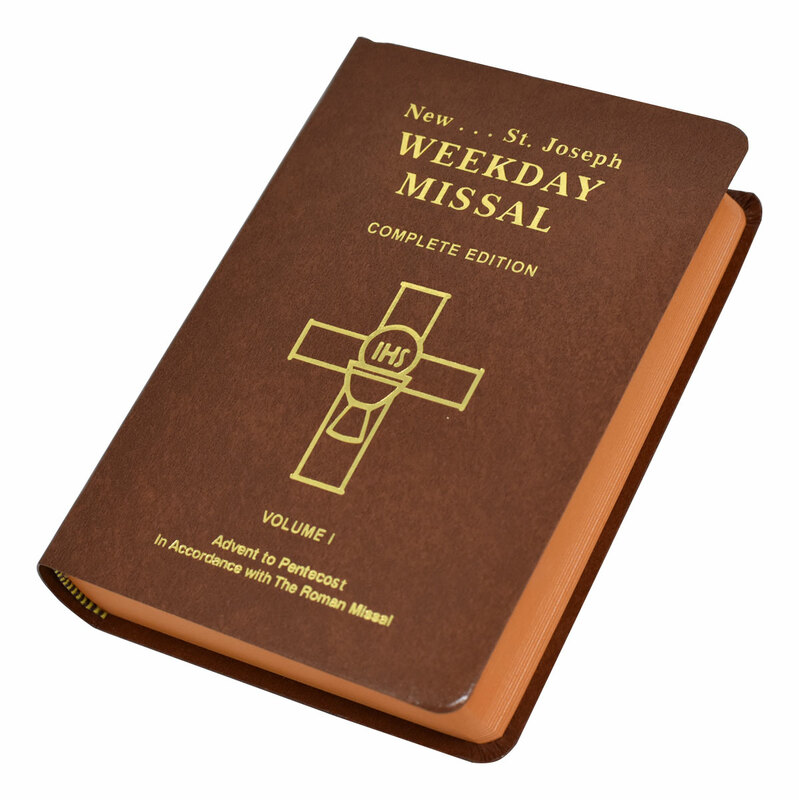 In a handy size and with a flexible brown cover, this easy-to-use Missal is the perfect companion for anyone who wishes to enhance their participation at Mass during the week.